Watch a promotional video above on the November premiere of “Bounce: The Basketball Opera,” presented by UK Opera Theatre and Ardea Arts. LEXINGTON, Ky. (Aug. 31, 2017) — From the university's art studios, gallery and museum to the stages of Singletary Center for the Arts and Guignol Theatre, students, faculty and staff in the University of Kentucky College of Fine Arts will entertain and move audiences with a diverse selection of concerts, exhibits, theatre and dance offerings beginning this fall all while marking the 50th anniversary of an academic program dedicated to theatre (and more recently dance). UK Art Museum has opened the fall arts season with two free public exhibitions exploring the impact of great flooding and decay of urban communities. As Texas struggles to overcome the destruction caused by Hurricane Harvey, the UK Art Museum will open a poignant and timely exhibition of work by sculptor, installation artist, painter and printmaker Alison Saar on Sept. 9. Through “ALISON SAAR: Breach,” the artist looks back in time to the Great Mississippi River Flood of 1927 to investigate contemporary and enduring social and cultural themes. “Breach” will be on display through Dec. 3. Saar will travel to Lexington this month to attend the opening reception of her exhibition from 5:30-7:30 p.m. Friday, Sept. 8. She will also give a free public lecture on her work and aspects of historical events and African-American legacies 2 p.m. Saturday, Sept. 9, in the Singletary Center Recital Hall. As part of the Robert C. May Photography Lecture Series, the UK Art Museum will also present “LORI NIX: The City.” Opening Oct. 7, Nix’s photographs present spaces of urban ruin — a wrecked anatomy classroom, a once grand library and a Chinese takeout restaurant, to name a few. These are not documents of real world decay but rather images made with painstakingly constructed dioramas that she builds with her partner, Kathleen Gerber. “The City” will be on display through Dec. 24. Nix will give her free public May Lecture 4 p.m. Friday, Nov. 10, at the Kincaid Auditorium in the Gatton College of Business and Economics. In addition to these exhibitions, UK Art Museum's May Series will also present an exhibition and talk by artist, author and art historian Teju Cole on his practice of making and analyzing photographs and visual culture. Cole’s exhibit will run Oct. 7-Dec. 24, at the museum. His May Lecture will begin 4 p.m. Friday, Dec. 1, at Kincaid Auditorium. Cole’s exhibition and lecture are free and open to the public. 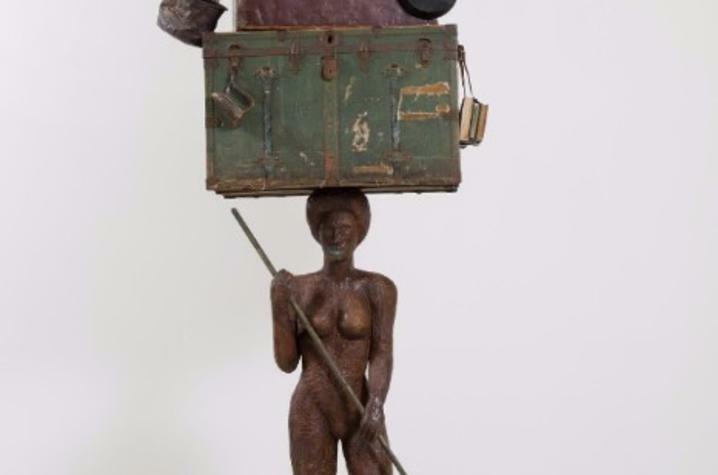 For a list of tours, talks, lectures, workshops and symposiums presented in conjunction with UK Art Museum's exhibitions and installations, as well as museum hours, visit: http://finearts.uky.edu/art-museum. It is a golden year next door in the Guignol Theatre in the Fine Arts Building, as students in UK Department of Theatre and Dance celebrate their 50th year of theatre studies on campus with a Main Stage Season personally selected by the department’s students, faculty and staff. 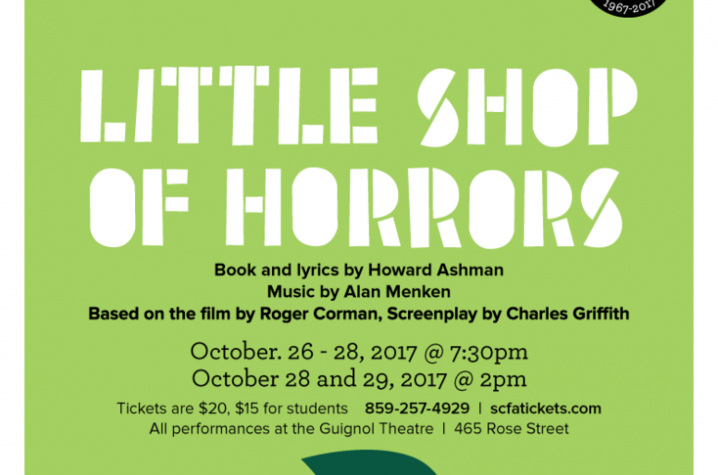 Just in time for Halloween, UK Theatre will present the Alan Menken and Howard Ashman award-winning musical “Little Shop of Horrors,” based on the movie of the same name. In this doo-wop horror comedy musical botanical mashup, Seymour, a mild-mannered florist from Skid Row, improves his chances for personal and professional growth through a bloodthirsty plant from another planet. His confidence begins to soar, but how far will he go to feed the beast? “Little Shop of Horrors,” a rockin’ ride that will remind you to keep an eye on their houseplants, will haunt audiences Oct. 26-29. Next up, UK Theatre explores the world of girl power with “The Wolves,” as nine teenagers on an indoor soccer field pass words between and among each other like a high-speed soccer ball, anticipating the moves of their opponents. This play examines a team in unison on the field made of athletes with remarkably individual drive. “The Wolves” storm the stage Nov. 30-Dec. 9. Dance is center stage in the new year, as the “Accelerate: Dance Concert” presents contemporary work from six choreographers, including one student. The innovative, exciting and thought-provoking choreography will not only present the art of dance at its finest, but also empower discussion of wider and more complex issues including the pursuit of happiness, what it means to be feminine and sexual assault. “Accelerate” will be in the spotlight Jan. 26-28. UK Theatre will take a more classical turn next as it presents William Shakespeare’s “Henry V.” Young Henry ascends the throne and proves his worth as king through an ambitious invasion of France. Is he a self-absorbed 20-something arguing with his father? Is he a shrewd negotiator of foreign and domestic affairs for the people of England? Shakespeare’s masterpiece depicts the horrors of war and the growing pains of a young royal. “Henry V” commands the stage Feb. 15-25. Beckett. Hansberry. Ailey. Tharp. These esteemed playwrights and choreographers weren’t always household names. They were once young writers and dancers paying their dues, exploring their passion and finding their voice. UK Theatre will explore the future of theatre and dance with “New Works Now.” “New Works Now” brings to the stage works from students and alumni of the department, celebrating 50 years of risk-taking expression and creative process. Learn what it means to be a creative type with this mixed bag of original works-in-progress that caps off the department’s golden anniversary season. “New Works Now” will run April 19-22. Tickets for UK Theatre productions can be purchased through the Singletary Center ticket office by phone at 859-257-4929, online at www.scfatickets.com or in person at the venue. All applicable fees will be added to tickets upon purchase transaction. In addition to UK Theatre and Dance's Main Stage Season, the department also presents many readings and one-act productions throughout the year. For a list of all activities in UK Department of Theatre and Dance, visit http://finearts.uky.edu/theatre-dance. For the first time since the Art and Visual Studies Building opened in 2015, the Bolivar Art Gallery will present an exhibition dedicated to work by faculty in the UK School of Art and Visual Studies. 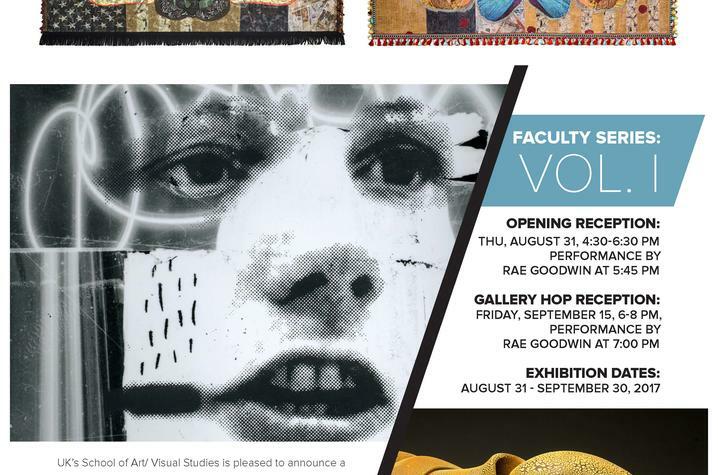 The free public exhibit, “Faculty Series: Vol. 1,” also marks the last time work by recently retired faculty member and international fiber artist Arturo Alonzo Sandoval will appear alongside his colleagues. The show opens today (Thursday, Aug. 31) and runs through Sept. 30. “Faculty Series: Vol. 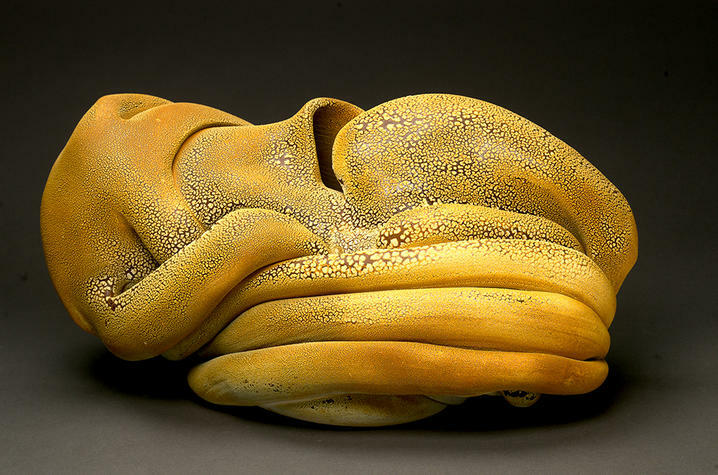 1” will showcase recent work from select teaching and emeritus faculty members. A slight departure from the traditional “faculty show” format, the series will occur annually and represents only a portion of the faculty, with different artists exhibiting each year. This inaugural installment includes work in a variety of media including: video, photography, ceramics, fibers, sculpture, painting and performance. Participating artists in this with Sandoval are Rae Goodwin, Brandon Smith, James Robert Southard, Hunter Stamps, Heather Stratton and David Wischer. An opening reception celebrating the featured faculty artists’ work will run from 4:30-6:30 p.m. today (Aug. 31), at the gallery. A performance piece by Rae Goodwin will begin at 5:45 p.m. A second reception will be held for the exhibition during Gallery Hop from 5-8 p.m. Friday, Sept. 15. For a list of all events and exhibitions at Bolivar Art Gallery, as well as gallery hours, visit http://finearts.uky.edu/savs. With more than 200 recitals, concerts and operas a year, UK School of Music alone could fill your calendar with a rich selection of music offerings that range from the classical to the contemporary. The school is home to the critically acclaimed UK Opera Theatre program, which will stage four large scale productions in 2017-18. 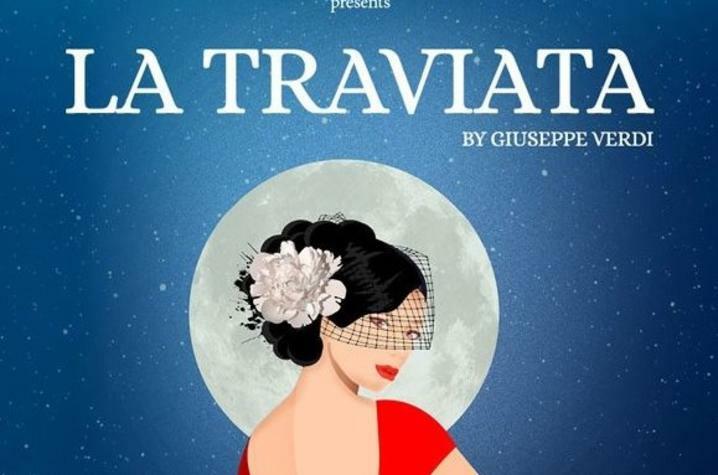 The program will open its season with “La Traviata.” Giuseppe Verdi’s opera shares the story of Violetta, a famed but ailing courtesan, frequently on the arm of the wealthy and powerful. Alfredo is a young bourgeois from a provincial family, eager for love. After a fateful meeting at a Parisian salon, their lives are forever intertwined. Will their love survive disapproving family, the costs of appearances and possessive society? Or will Violetta fall before her time? “La Traviata” will grace the Singletary Center stage Oct. 6-8. The next month, UK Opera Theatre will present a new opera production, “Bounce: The Basketball Opera,” with Ardea Arts. Performed on court, “Bounce” is grounded in contemporary issues facing today’s youth. The production, pairing diverse casting with a fresh approach to arts education, integrates high school students using the powerful medium of basketball. Basketball is a simple game – get the ball in the hole. But the game becomes complex when outside forces like money and fame challenge team ethics. Ike "The Flight” Harris, a gifted and ambitious young basketball player, is on a fast track to stardom when his wings are clipped by the actions of a jealous teammate. Wild rumors circulate and Ike’s world crashes down. 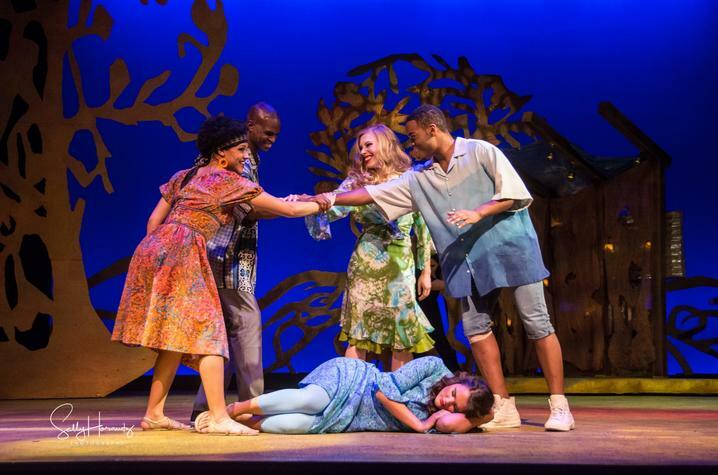 Based on “The Flight of Icarus,” “Bounce” showcases Ike’s fall from grace, weaving a theme of betrayal with Greek drama, Shakespeare, “Carmen,” “Grease” and hip-hop. “Bounce” will be presented Nov. 10-12, at Calvary Baptist Church. In the spring semester, UK Opera Theatre will present Jerome Kern and Oscar Hammerstein’s Tony Award-winning “Show Boat.” Audiences are invited to board the Cotton Blossom and steam down the Mississippi River with a colorful assortment of performers, laborers and passengers trying to just keep moving along. “Show Boat” is a humorous and dramatic romp that tackles love and family inured in early Jim Crowe racism. “Show Boat” will cast off March 2-4, at Singletary Center. Next June, UK Opera Theatre’s popular musical revue "It's a Grand Night for Singing!" will return for its 26th year. The unofficial kick off to the summer arts season in the Bluegrass, “Grand Night” features the best from Billboard to Broadway and routinely stars more than 100 UK opera and community performers. “Grand Night” will run June 8-17, at Singletary Center. Ticket prices for these UK Opera Theatre productions range based on seating location. Tickets can be purchased through the Singletary Center ticket office by phone at 859-257-4929, online at www.scfatickets.com or in person at the venue. All applicable fees will be added to tickets upon purchase transaction. In addition to playing the opera performances, UK Symphony Orchestra (UKSO) will present several concerts of its own in the 2017-18 season. In the first half of their season, the orchestra will present concerts featuring Ludwig van Beethoven’s Symphony No. 5 on Sept. 22, principal oboist Dwight Parry of Cincinnati Symphony Orchestra on Oct. 27, and noted Israeli cellist Amit Peled on Nov. 30. All UKSO concerts will be presented at Singletary Center. For a list of UKSO's entire season, visit: http://finearts.uky.edu/music/ensembles/uk-symphony-orchestra. For lovers of choral music, UK Choirs' holiday production, "Collage," the Bluegrass Choral Music Festival and a concert with the University of Tennessee (UT) Men’s Chorale will be must-see concerts. UK Women’s Choir and UK Men’s Chorus will combine forces for the Bluegrass Music Festival on Sept. 29, at Singletary Center. The following month, blue and orange will share the stage when UK Men’s Chorus teams up with UT Men’s Chorale for a concert on Oct. 27. "Collage" featuring the combined UK Choirs, faculty and student musicians and community artists will take the stage Dec. 2-3, at Singletary Center. And, these concerts are just a sampling of what the more than 25 UK School of Music ensembles will present in the year ahead. Others of note include the 11th annual Parent’s Day Concert featuring UK Wind Symphony and UK Symphony Band on Sept. 24, the eighth annual Jazz Spectacular on Oct. 15, and UK Percussion Ensemble’s fall concert on Oct. 28. UK School of Music major ensemble concerts are $10 for general admission and $5 for student admission including fees. UK students with a valid ID may receive a complimentary ticket from Singletary Center's box office in advance of concert the day before the concert. Tickets can be purchased through the Singletary Center by phone at 859-257-4929, online at www.scfatickets.com or in person at the venue. To see a listing of all UK School of Music concerts, recitals and masterclasses, visit http://finearts.uky.edu/music.